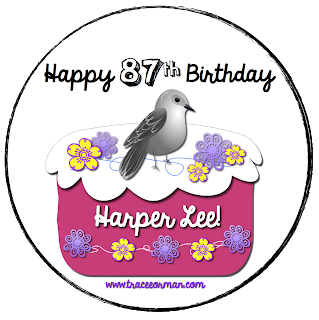 Mrs. Orman's Classroom: Happy Birthday, Harper Lee! 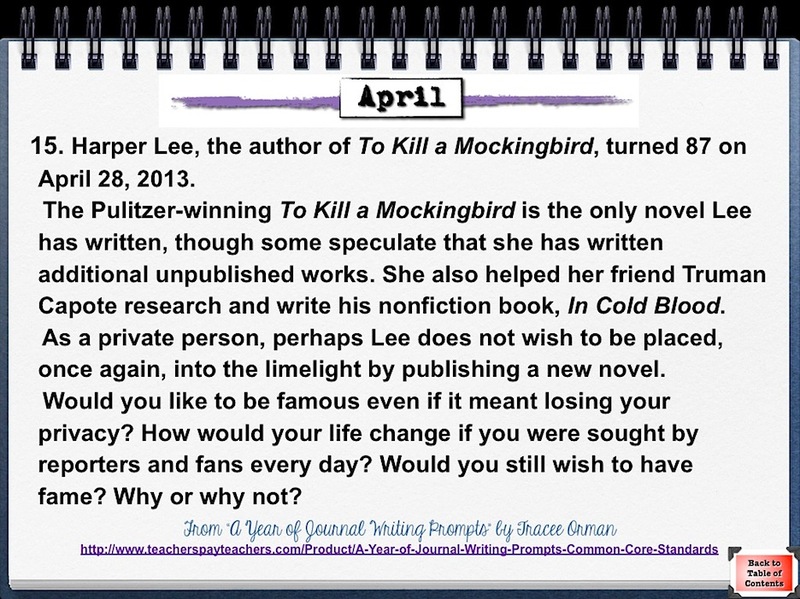 Harper Lee, the author of To Kill a Mockingbird, turned 87 on April 28, 2013. 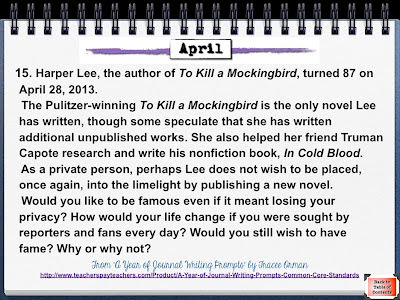 The Pulitzer-winning To Kill a Mockingbird is the only novel Lee has written, though some speculate that she has written additional unpublished works. She also helped her friend Truman Capote research and write his nonfiction book, In Cold Blood. As a private person, perhaps Lee does not wish to be placed, once again, into the limelight by publishing a new novel. Would you like to be famous even if it meant losing your privacy? How would your life change if you were sought by reporters and fans every day? Would you still wish to have fame? Why or why not?